The glowing, bright orange sphere which took 12 weeks to build, has a 15-metre circumference and shines as brightly as 12,000 lightbulbs. Its installation follows intu’s happiness survey, which reveals that four in five people in Watford (79 per cent) feel happier when it’s sunny. The artificial sun has been modelled on a photograph captured by NASA and will be shining inside intu Watford before going on a tour of 11 intu centres across the country as part of the shopping centre owner’s pledge to make shoppers smile. 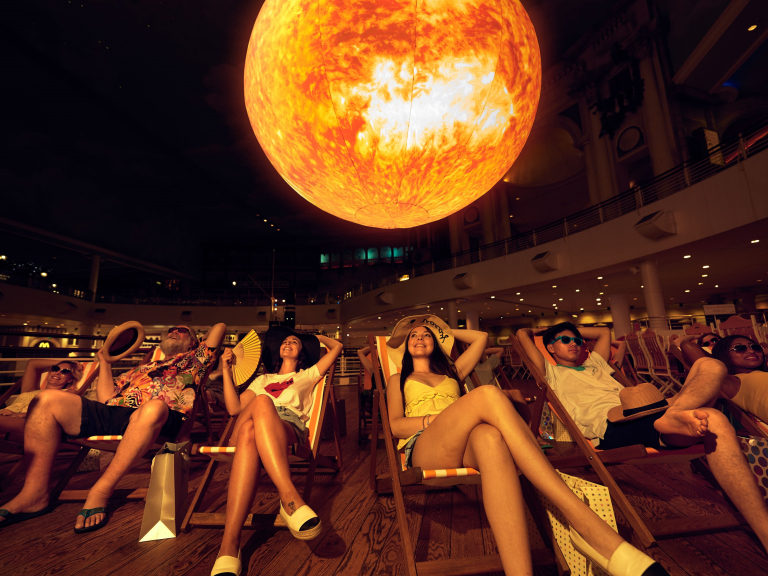 There will be a special ‘Sunny Spot’ at intu Watford people to sit back on deck chairs and bathe in the sun with ice creams and mocktails being handed out to lucky shoppers. According to the intu Happiness Survey, one in four people in Watford (26 per cent) say 2018 has been their happiest summer in memory despite the economic uncertainty, with a third (33 per cent) crediting the sunshine for their increased happiness levels.